Reducing the trade deficit has been a goal for U.S. President Donald Trump, but on Wednesday, the Commerce Department reported that the trade deficit increased 12.5 percent in 2018, resulting in a 10-year high. 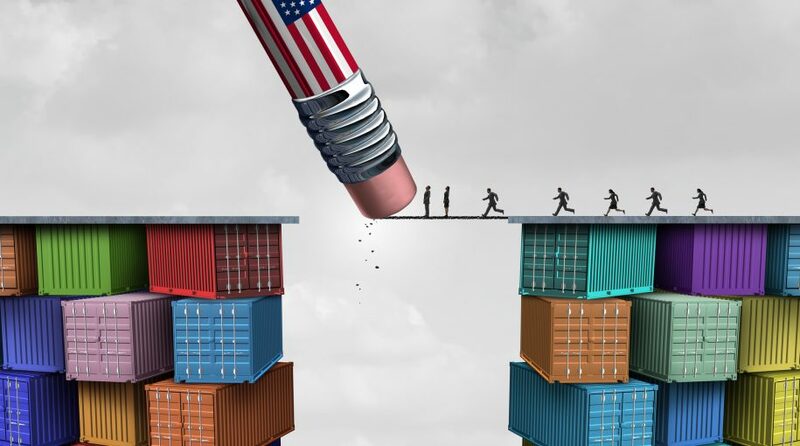 To end 2018, the trade deficit went 18.8 percent higher during the month of December, resulting in the final $621 billion gap. That figure represents the largest gap since 2008 and follows the $552.3 billion deficit in 2017. The rise in the deficit comes as President Trump is looking to conclude trade negotiations with China. Trade talks have already moved past the initial March 1 deadline with the notion that the capital markets have already priced in a deal, resulting in sell-offs this week. On Wednesday, the Dow Jones Industrial Average declined as much as 150 points and could finish with three losing sessions in a row. On Monday, the Dow fell over 200 points. In the meantime, however, the markets will still be news-sensitive until a permanent trade deal materializes.